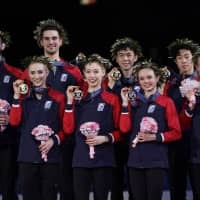 FUKUOKA - A strong performance by Bradie Tennell helped the United States win the World Team Trophy on Saturday at Marine Messe. 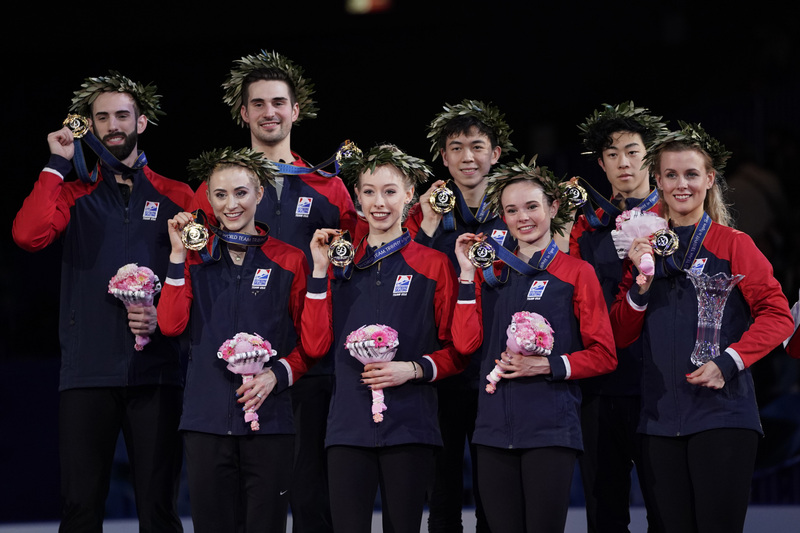 The U.S. captured the biennial competition for the fourth time with a total score of 117 points. Japan was second with 104, while Russia finished third on 102. The Americans entered the day with a 12-point lead over Japan and were able to retain their advantage as Tennell posted a career-high score of 150.83 points with her second-place finish in the free skate. Elizaveta Tuktamysheva captured the free skate and the women’s competition with a personal-best total score of 234.43. Tennell was second at 225.64 (also a career best), with Kaori Sakamoto taking third on 223.65 (another career-high total). Rika Kihira, who won the short program with a record score, ended up fourth with 222.34 after coming in fifth following a calamitous free skate. 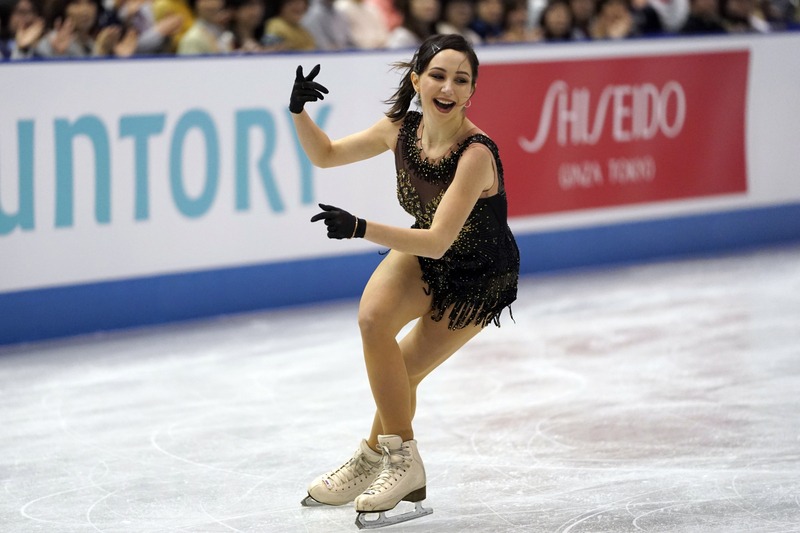 Tuktamysheva skated to “You Don’t Love Me” and “Petite Fleur” and put on a show for her adoring Japanese fans. She landed a huge triple axel to start and went on to hit a total of eight clean triples in the victory. 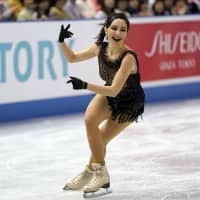 The 22-year-old exhibited great style and panache throughout her program and earned level four for her spins and step sequence. Tuktamysheva noted that the triple axel was key to her success in the free skate. Tennell, the 2018 U.S. champion, competed to “Romeo and Juliet” in a program choreographed by Benoit Richaud, and may have had her best outing ever. 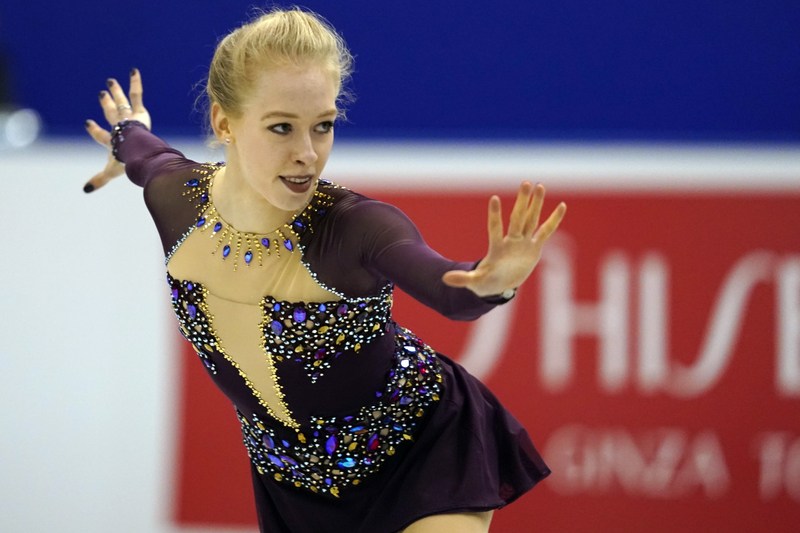 The 21-year-old hit seven triples and received level fours for her spins and step sequence. Tennell is hoping to take the momentum from her results here into next season. Sakamoto skated to “The Piano” and landed six triples, but received an edge call on her triple lutz. She got level fours on her spins, but only a level three on her step sequence. Sakamoto acknowledged that the judges may have been generous with their scoring. “If that was a season’s best, I know I can do a better performance,” Sakamoto said. Rika Kihira competed to “A Beautiful Storm” and fell on her opening triple axel. She then did not attempt a second triple axel, opting for a double axel/triple toe loop combination. Kihira was still in decent shape at that point, but then fell again on the back end of a triple lutz/triple toe loop combo. The 16-year-old posted level fours for her spins and step sequence, but the falls took the life out of her program. Kihira cited her condition as something that needs work moving forward. 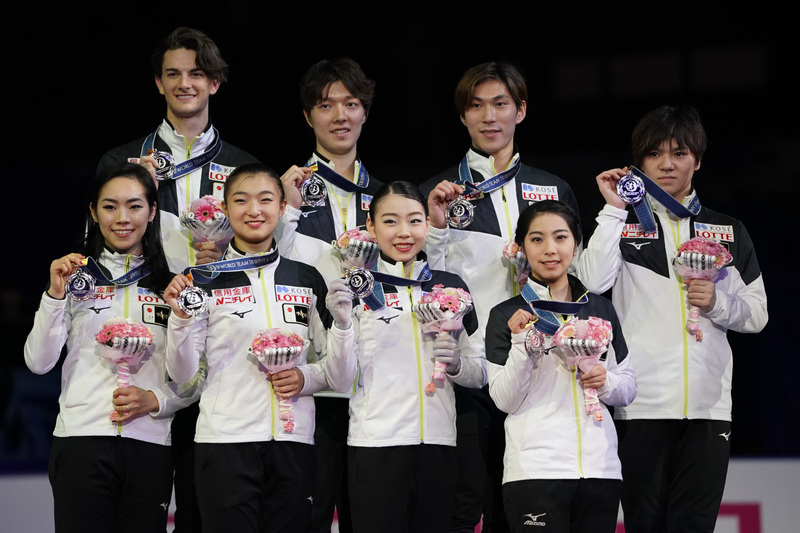 “For next season I need to be really aware of myself and my form,” Kihira said. “I want to have good chemistry with the rink and be able to do my two triple axels with ease. France’s Vanessa James and Morgan Cipres won the pairs free skate and competition with a total score of 226.00. Russia’s Natalia Zabiiako and Alexander Enbert were second at 217.12. The World Team Trophy will conclude with the Exhibition Gala on Sunday.